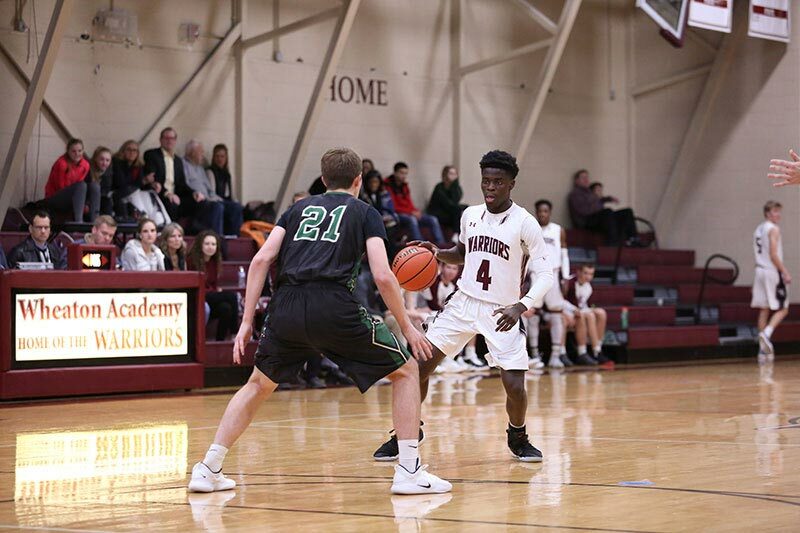 The Warriors faced Elmwood Park on Tuesday and won 53-38. Marcus Bult led Wheaton Academy with 20 points and four rebounds. Other contributions came from Oliwatobi Songua (ten points) and Sebastian Pares (nine points, ten rebounds). Bult recorded his 15th double-digit point game of the season. Next week, Wheaton Academy hosts Guerin College Prep (River Grove) on Friday starting at 7:00 pm. On Tuesday, the girl’s basketball team defeated Guerin College Prep (River Grove) 34-28. The Warriors have a busy week starting on Tuesday against Ridgewood at 7:00 pm in the Warrior Dome. On Thursday, Wheaton Academy travels to Elmwood Park before hosting St. Francis (Wheaton) on Saturday. On Thursday, the wrestling team defeated IC Catholic Prep (Elmhurst) 54-21 and Aurora Central Catholic 66-18 in a triangular. In doing so, Wheaton Academy won the Metro Suburban Red and remain undefeated (4-0) on that side of the MSC. Jonathan Vanderbilt, Alex Ventimilla and Derek Johanik each won both of their matches. Johanik improves to 22-1 on the season. The Warriors competed in the Metro Suburban Conference Tournament on Saturday. As a team, they finished in sixth place. Alex Ventimilla won the 145lb weight class as an individual and earn MSC All-Conference honors. Derek Johanik finished in second place in the 285lb weight class and also earned MSC All-Conference honors. Next week, the Warriors go to the Riverside Brookfield and St. Francis (Wheaton) meet on Thursday. On Friday, they travel to Rockford and wrestle in the Rockford Lutheran Tournament.